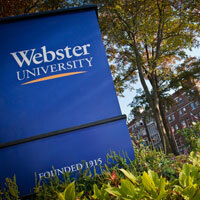 Three online programs at Webster University were ranked among the best in the nation this week. U.S. News & World Report today named three of Webster University’s online programs as among the best in the country as part of its annual 2017 Best Online Programs Rankings. The rankings will be published as part of its "Best Graduate Schools 2017" and "Best Colleges 2017" guidebooks later this year. Webster University was listed in the Best Online Graduate Business Programs, the Best Online Graduate Education Programs and the Best Online MBA Programs rankings. Webster University’s Online MBA program was ranked 160th out of the 255 programs included in this year’s list and was listed as the seventh best online MBA program in Missouri. Webster University’s Online Graduate Business programs were ranked 92nd out of the 141 programs listed and ranked as the third best Online Business Programs in the state. Webster University’s Online Graduate Education programs were ranked 149th out of the 278 institutions listed and listed as the fifth best online education program in Missouri. According to the U.S. News & World Report website, the rankings are determined through student surveys and data collected from the institutions. The ranking service looks at student engagement, admissions selectivity, peer reputation, faculty credentials and training, and student services and campus technology to calculate the final ranking. The complete rankings can be found online at www.usnews.com/online.